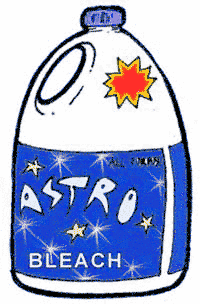 Roccal D was a spray on disinfectant designed by NASA to spray off astronauts when they returned from space. This green liquid can even be consumed by humans and totally unharmed even in it's undiluted state. It does nothing for dirt removal, just germs and is available through medical supply companies. Thanks Tas! I will have to look that up!